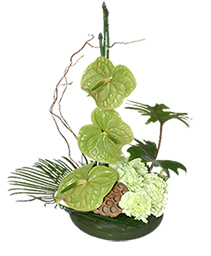 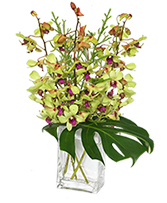 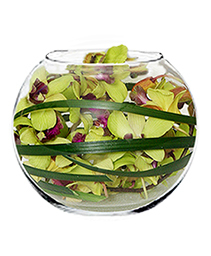 Orchid arrangements are exotic and eye-catching, and their out of this world colors are very bright and lively with blooms that last a long time. 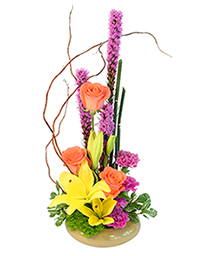 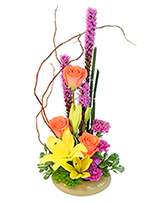 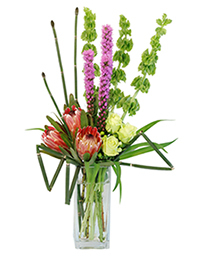 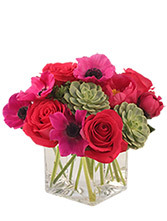 Add sizzle to any special occasion with this sophisticated vase of brightly-colored tropicals. 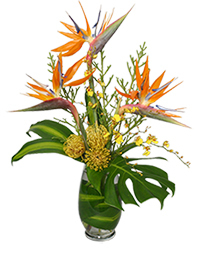 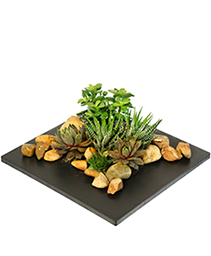 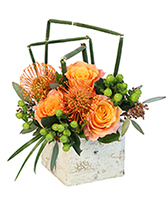 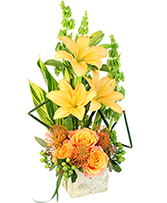 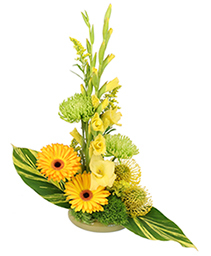 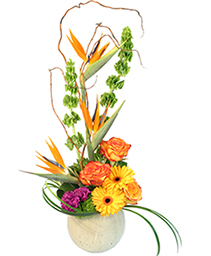 Featuring yellow pincushion proteas, birds of paradise and oncidium orchids, this eye-catching design is sure to make a lasting impression.